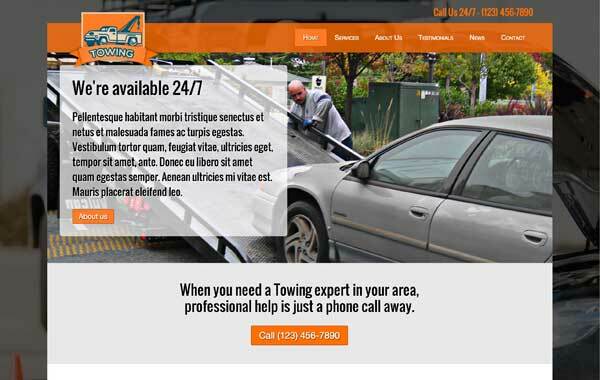 With a sleek, professional website for your towing company, you'll reach more clients and convince them of your team's friendly and reliable service. 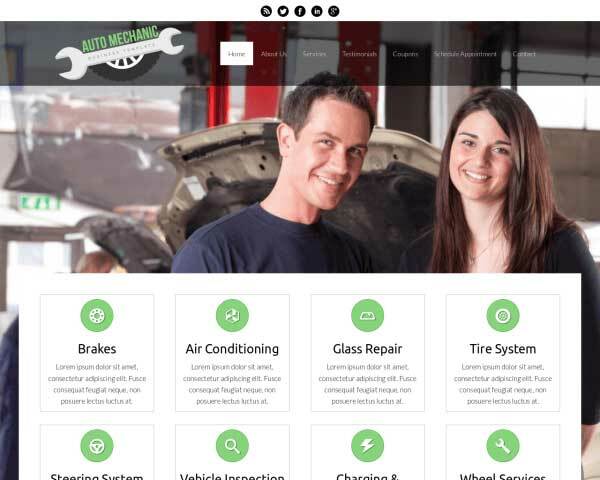 Make a great impression online with the Towing WordPress theme, already set up with everything you need to get your new website online fast! 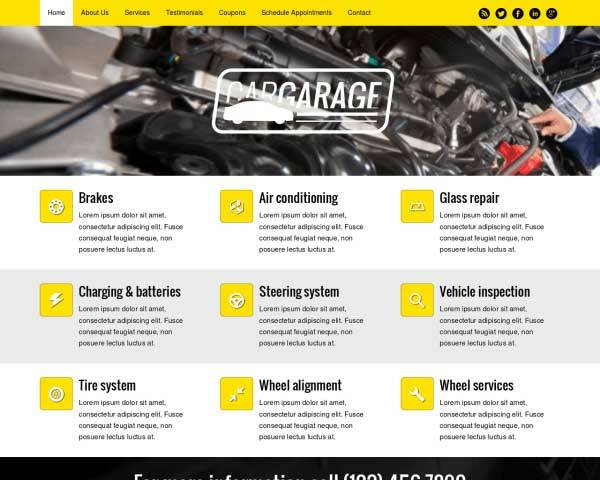 When your specialty is roadside assistance, you need a website that will convince visitors of your professional, dependable service even when they search for your towing company on a smartphone from a lonely highway. 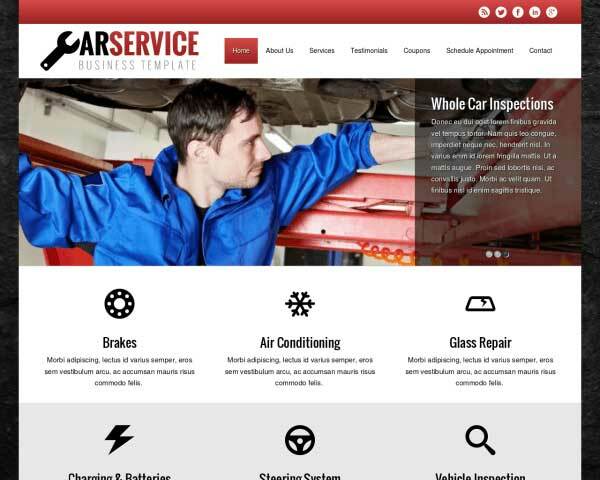 With the Towing WordPress theme, we've made it easy and affordable to build a responsive website for your towing business, with pages already set up for common services, customer testimonials, a company profile and contact details. Replace the text and upload your own photos to use this website template as is, or customize the color scheme, style text and adjust page layouts using our unique front-end editing tool and drag and drop widgets. No coding skills required! This premium WP theme comes with powerful business features like built-in contact forms, integrated social media and an SEO manager to help boost your search engine rankings. 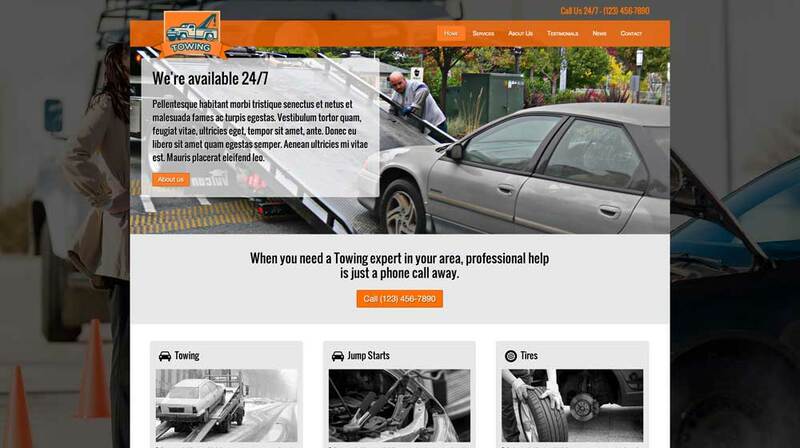 Expand your reach and help more drivers in need when you promote your towing services online with the Towing WordPress theme. Focused on delivering content the best way possible, the Towing WordPress Theme is built to help you generate relevant traffic to your site by easily adding blog posts on a regular basis. 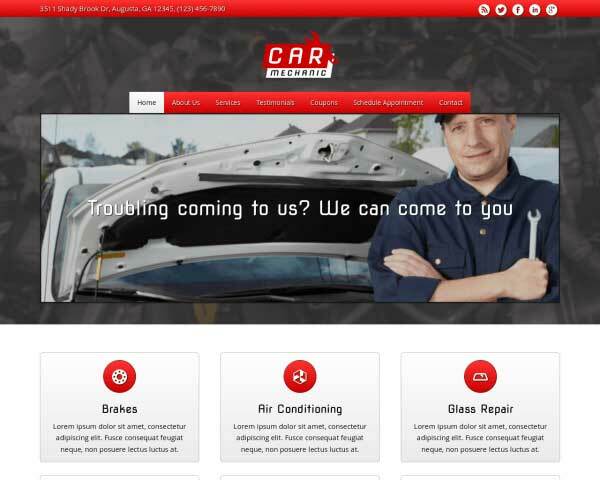 This Towing WordPress Theme designed specifically for automotive specialists. 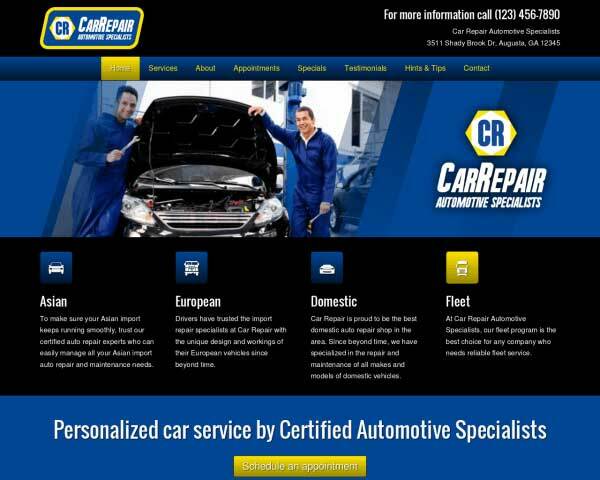 It includes all likely features your business needs and ensures you are up and running in no-time. 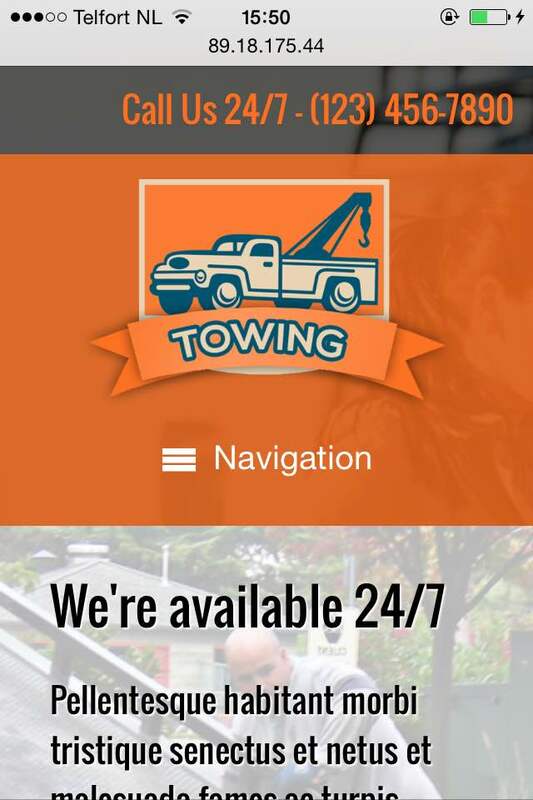 An eye-catching call-to-action on the sidebar on the Towing WordPress Theme encourages visitors to get in touch. Mobile visitors can simply tap on your phone number to dial. 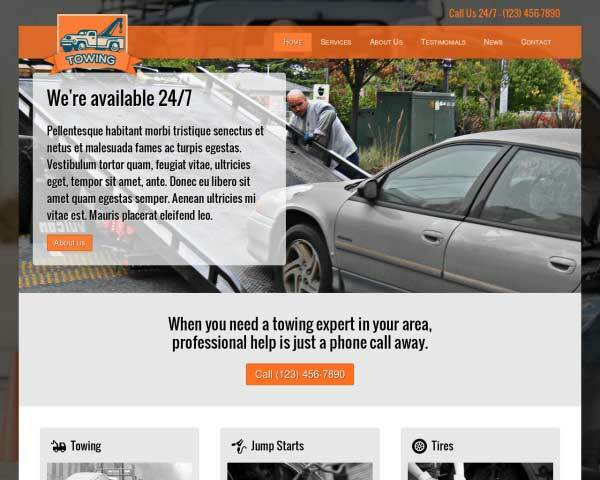 The Towing WordPress Theme theme features an accessible, easy-to-navigate design that gets visitors excited about your unique services. 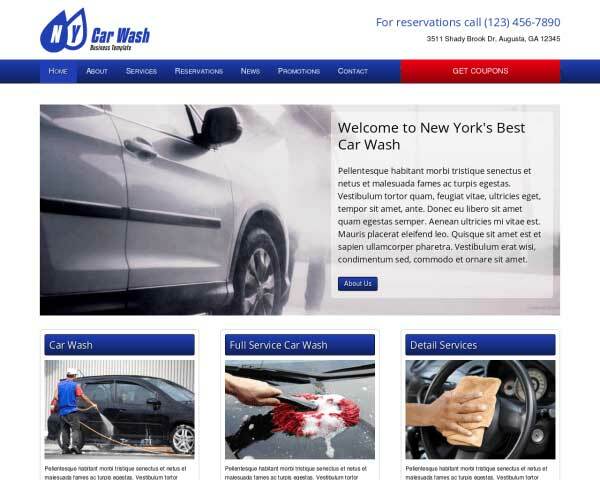 The clean layout of the Towing WordPress Theme let's your website's visitor know instantly what solution you can offer for their respective problems. 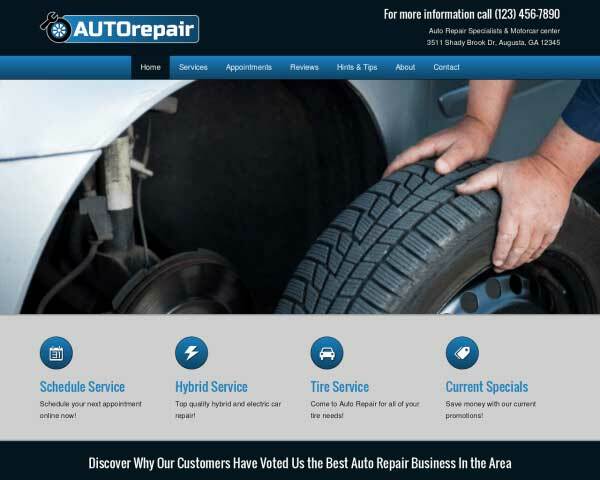 A website that looks great and works perfectly on mobile devices is especially important when your customers are most likely to call you while on the road. 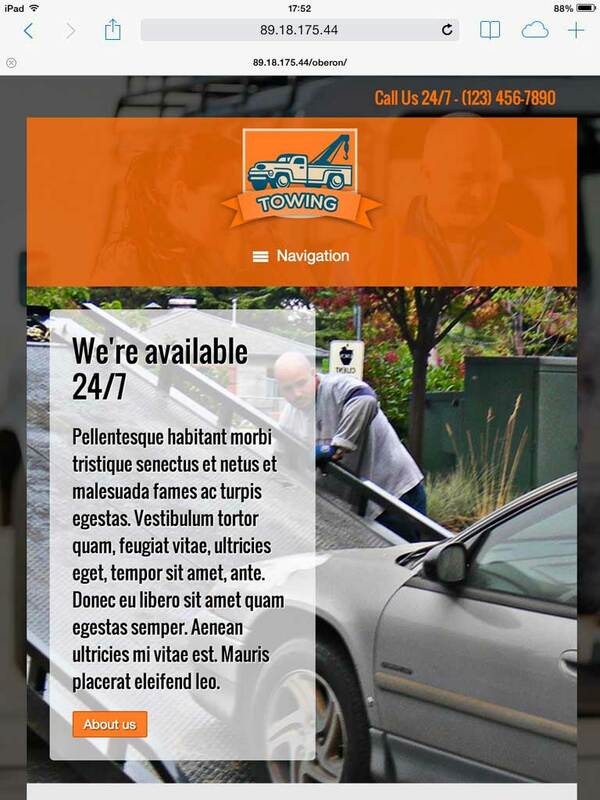 With the responsive Towing WordPress theme, a sleek mobile version of your website is part of the package. Without any extra effort required, the layout of your content will automatically adjust to display beautifully on any screen size. Best of all, mobile visitors can simply tap on your phone number to dial and get help whenever and wherever they need it.